If you want to drive around the Marlboro, Englishtown, and Freehold areas in a sporty and stylish compact SUV, you may like what the Jaguar E-PACE has to offer. 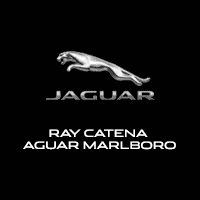 Our team at Ray Catena Jaguar Marlboro was especially excited about this vehicle’s engine specs and handling capabilities, as well as the high-tech interior. Check out our 2019 Jaguar E-PACE review to learn more! With both engines, you can tow up to 3,968 pounds when properly equipped. They also include efficient Stop/Start technology and regenerative braking. The Stop/Start feature reduces unnecessary fuel use by powering down your engine when you don’t need it—like at a red light—and seamlessly powers it back up again when you hit the accelerator. You’ll also get a 9-speed automatic transmission with either engine. This transmission’s closely spaced ratios provide almost imperceptible gear changes, while the shift schedules automatically adjust to your unique driving style to optimize performance. Take a virtual test drive today! While the Jaguar E-PACE is a compact SUV, you’d never know it from the inside. The interior makes good use of its available space to make the cabin feel especially roomy. It seats five passengers comfortably with 39.2 inches of front-seat headroom and 38.2 inches of rear-seat headroom. When all seats are occupied, you can still accommodate 24.2 cubic feet of luggage. Need even more space? Fold the rear seat down flat and you can bring along up to 52.7 cubic feet of cargo. In the cockpit, you’ll have a standard Touch Pro™ 10-inch touchscreen display. If you link your Bluetooth®-compatible device, you can view incoming calls and music-streaming information here, as well as climate controls and radio stations. You can also decorate your interior to your liking with available fabric, grained leather, or Windsor Leather seating surfaces. Whether you’re braving a snowy morning commute or heading into the wilderness for a weekend camping excursion, you’ll likely feel well-equipped with the standard all-wheel drive (AWD) system in the Jaguar E-PACE. This smart system uses Active Driveline Technology to continuously monitor your driving conditions and adjust torque distribution as necessary to improve your traction. If you’re experiencing slippery surfaces, it balances torque between the front and rear wheels. During dry highway cruising, on the other hand, it’ll disconnect the rear wheels to allow for front-wheel-drive-like efficiency. During really tough conditions, you’ll also have All Surface Progress Control (ASPC) to help you out. This acts as a low-speed cruise control. Simply set a driving speed between 1.1 MPH and 18.6 MPH, and your E-PACE will keep you moving forward while you focus your attention on steering and navigating. 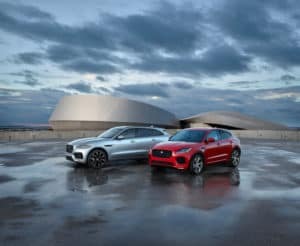 If you want to try the 2019 Jaguar E-PACE for yourself, contact the team at Ray Catena Jaguar Marlboro and let us know you read our review. We’ll be happy to get you out for a test drive and show you more of the features this SUV brings to the Englishtown, Freehold, and Marlboro roadways. 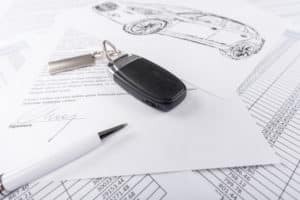 Contact us to schedule your test drive!